Working with Rebecca could not have been more interesting. She has an eye for detail and a mind for content. Wow. I learned so much about giving information to potential clients in building this site. She found me through when I applied to her linkedin.com request for a professional. We hit it off immediately. She is no-nonsense and warm, you know you are getting the real deal when you talk with her. 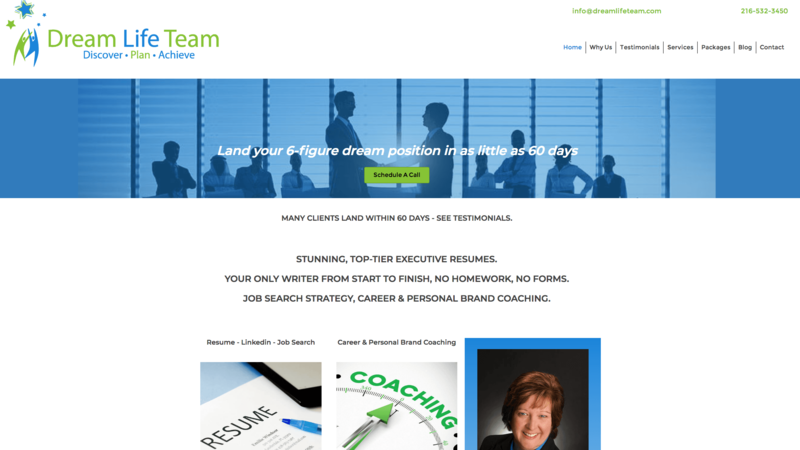 She had very specific requirements and we met them all in the re-building of her site. We took it from Squarespace to WordPress, kept the base design and rebuilt so she would have more control and better SEO results. So far, so good. She is reporting better results. What I like about Christina is that she created a great site – she worked fast, offered ideas, was creative, and provided great value. I honestly feel like I have one of the best sites in the resume writing field now. It helps in attracting clients.